The Queen’s Chapel of the Savoy that you see today in Savoy Hill, London, was built as part of a charitable foundation under the terms of the will of King Henry VII in the early sixteenth century. 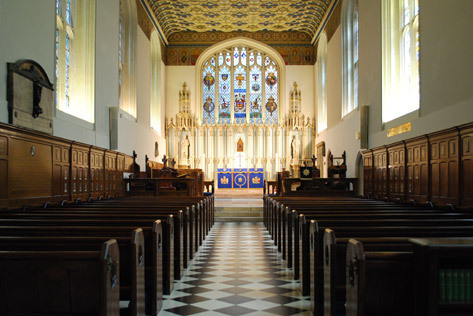 On 11 May 1937 King George VI commanded that it should be the Chapel of the Royal Victorian Order. The Chapel will be closed from 23 to 26 April inclusive, and reopen for the blessing of the marriage of Professor Kayvan Shokrollahi and Miss Sara Hindson on 27 April. There will not be a Sunday service on 28 April. The chapel is open to the public. On occasions there will be mid-week activities that preclude casual visits, please telephone in advance if you are planning to make a special journey.